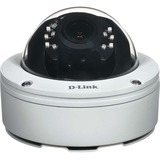 The Cisco® Video Surveillance 7030E IP Camera is an outdoor, high-definition, full-functioned video endpoint with industry-leading image quality and processing power. The camera is capable of a 2560 x 1920 resolution while optimizing network utilization with either H.264 or MJPEG compression. Contact closures allow integration with access control systems. 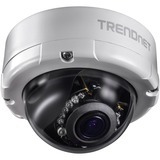 With its open, standards-based design, the camera provides an ideal platform for integration and operation as an independent device or as part of a Cisco Video Surveillance network.